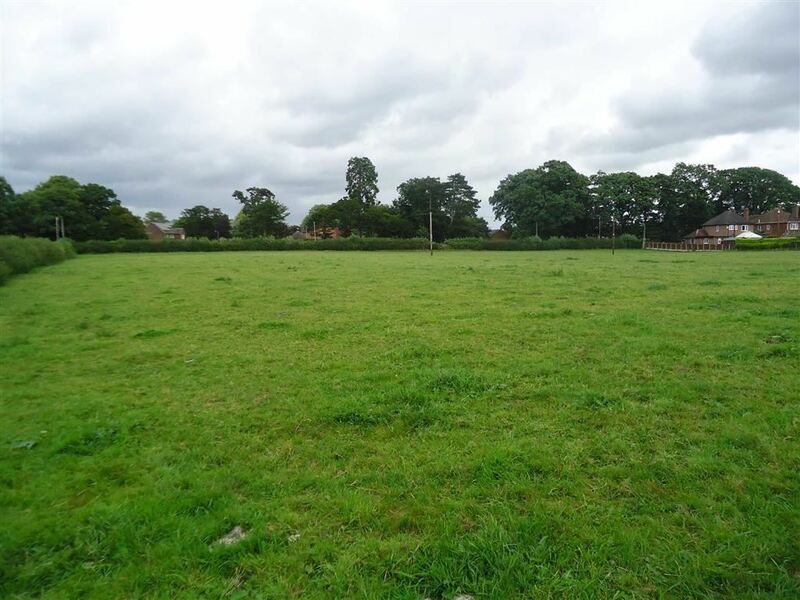 A level square shaped field being circa 3.81 acres providing a quality low density development on the edge of the popular and convenient village of West Felton. 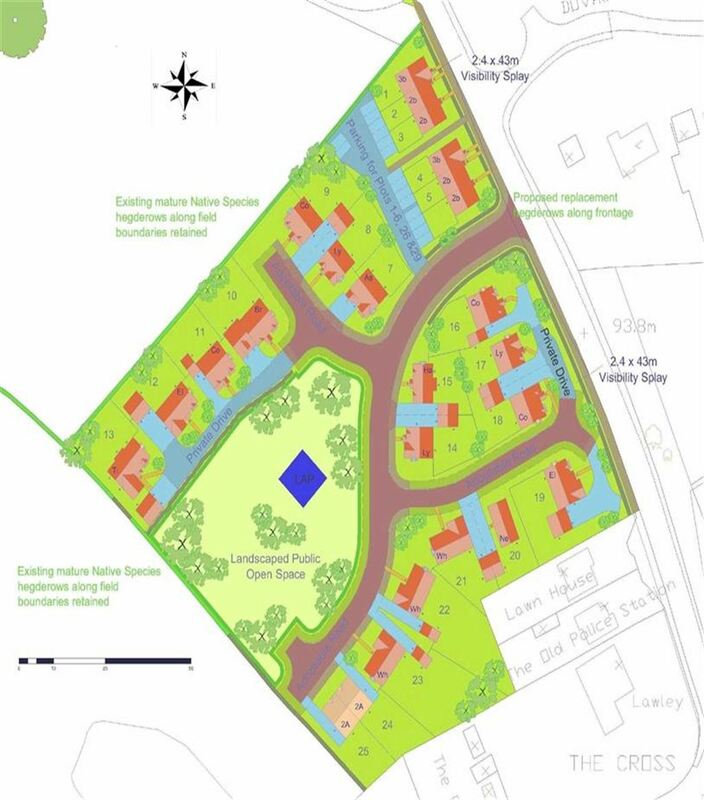 It has Outline planning approval for 25 dwellings, subject to conditions and the requirements set out in the Section 106 Agreement. 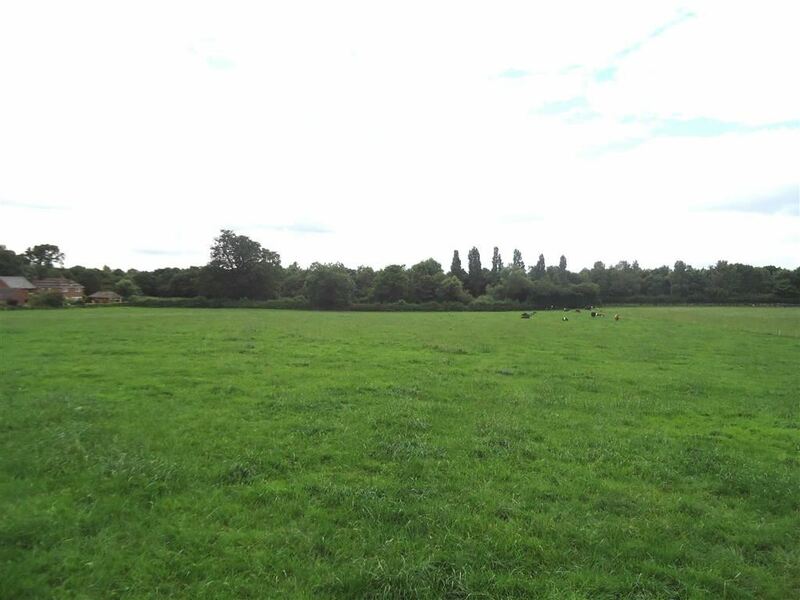 The site is on the northern fringe of the village, providing easy access to Oswestry (3 miles) or Shrewsbury (10 miles) along the A5. It enjoys fine views to the west over the Welsh hills. Outline planning consent was granted on the 30th November 2015 via Appeal under reference APP/L3245/W/15/3003171 for "25 dwellings, estate roads and public open space", subject to 12 planning conditions and a signed Section 106 Agreement. The consent and conditions are available at https\\acp.planningportal.gov.uk Condition 1 requires submission of reserved matters by the 29th November 2016. Condition 2 requires development to commence within one year of the last reserved matter being approved. Condition 5 requires a minimum of;6 of the open market dwellings to be bungalows4 of the two storey open market dwellings to be 2 bedroomed dwellings and2 of the two storey open market dwellings to be 3 bedroomed dwellingsCondition 7 requires some offsite highway improvements.The Section 106 Agreement sets the requirement to contribute towards Affordable Housing. The reserved matters stage will set the final contribution which is currently expected to be at 10% being 2 affordable homes on site plus a financial contribution being a maximum of £45,000. The plan enclosed shows the indicative layout which was submitted with the application for a mixture of dwelling types and sizes. Layout has not been agreed within the consent. The north, eastern and part of the west boundaries are attractive nature hedgerows. These are included in the sale. We understand mains electricity and water are within close proximity to the site. A sewer main crosses the eastern corner of the site. Gas and Fibre broadband are within close proximity to the site. A sewer main is in the road adjoining the site. Fibre broadband is available in the village. The approved access will be off Holyhead Road to the east of the site. It is understood two adjoining dwellings have an historic right for a drainage pipe in a specific location in the field. Both dwellings are connected to the sewer main. There are no known rights of way over the site. The property will be sold subject to any wayleaves, public or private rights of way, easements and covenants and all outgoings whether mentioned in these sales particulars or not. The sale is subject to;1. The Purchaser fully complying with all the planning conditions relating to the site and the Section 106 Agreement including payment of Community Infrastructure Levy and Affordable Housing Contribution and Requirements. 2. The Purchaser will plant and maintain a native species hedgerow along the south western boundary along the existing fenced section. The Purchaser must retain the existing hedgerows. 3. The Vendors will annually trim the top of the hedges and their retained sides on the north and western boundaries.4. The Purchaser and successors in Title will prevent the hedge/boundary being more than 5 feet above the ground levels. 5. Purchasers shall make their own investigations into ground conditions and the ability to connect to connect to mains services. 6. The Purchaser shall ensure connections for water, sewerage and gas (if applicable) are of sufficient size to allow for further housing to be connected in the future. 7. The Vendor will reserve the right to use the vehicular accesses through the site through the north and western boundaries to serve further development in the future. The right will also be reserved to take service/utilities under the access roads and open spaces and connect into services within the site. 8. The Purchaser must submit the reserved matters application for the whole site by the 28th November 2016. The plans and layout must be approved by the Vendors prior to submission to ensure access is maintained through the site to the retained land to the west and north. At any reasonable time with a set of these details. Contact the sole selling agents Halls on 01743 450700. shaunj@hallsgb.comHalls hold the topographic survey and sewer plan. These can be emailed by request.